Browsing for your local Rotherham Estate Agent? Emoov can sell your property. Rotherham is a large town in South Yorkshire by the River Don. Rotherham is the industrial hub where stainless steel was invented in 1913 and is 9km away from Sheffield city centre, a 20 minute commute, for a larger array of local amenities. The Clifton Park Museum is home to a large collection of archaeological coins, medals and decorative arts and is free to visit. The collection is all from the local area. Did you know that the 1996 film Brassed Off, starring Ewan Macgregor, was filmed in Rotherham? The annual community show, Rotherham by the Sea, sees the town transformed into a seaside resort with food stalls and entertainment. The Civic Theatre and Arts Centre offers a range of professional and amateur theatrical shows. The Magna Science Adventure Centre is an interactive science centre located in a former steelworks which is a popular day out for families. The town also has a multiplex cinema and a range of pubs, bars and clubs for local night-life. Rotherham offers a good choice for students in terms of study and lifestyle. Rotherham College of Arts and Technology, is one of the largest further education colleges in the local area and offers a selection of courses and subjects. There are two good universities, the University of Leeds with a strong reputation for the creative arts and budding film-makers and the University of Sheffield, an excellent red-brick university with a multitude of societies and sports to choose from. The average property price in Rotherham remains relatively cheap. 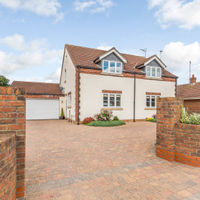 These values have been attracting many young professionals and growing families for a few years now, and with prices in the South East of the country continuing to rocket, this corner of Yorkshire looks like an increasingly appealing proposition for property purchasers.